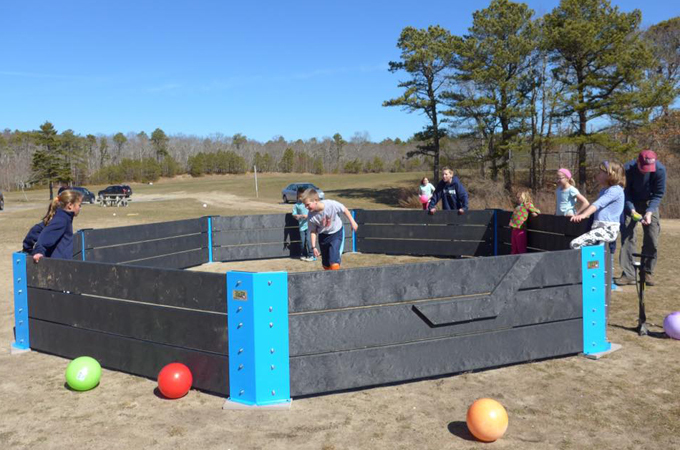 Gaga Pits Installed at Oak Ridge School – Thanks to Amazing Volunteers! 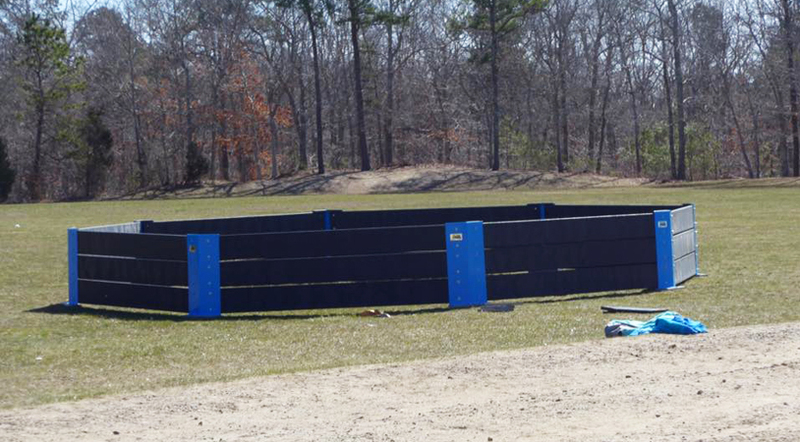 Through a generous donation from the Sandwich Elementary PTA, 2 GAGA pits were installed at Oak Ridge over the weekend. These 20’ in diameter octagons are used to play a multiplayer game which allows for up to 25 kids to enjoy at once as they run around, cheer, and try to get each other out by hitting the ball into their legs below the knees. Gaga is played inside a hexagon or octagon pit about 15 to 25 feet wide with walls generally 24 to 30 inches high and built on any surface: blacktop, grass, sand, wood chips or carpet. The number of players at the start of the game varies. Players start with one hand touching a wall. A lightweight ball — like those used for kickball — is dropped in the center. Then someone slaps the ball underhand, attempting to hit the other players on or below the knee to eliminate them from the pit. The last player in the pit wins, but the game is more complicated than that. Players cannot hold or throw the ball. If someone hits the ball out of the pit without it touching a person, they’re out. If someone outside the pit catches that ball, he or she is back in. So being outside the pit doesn’t completely exclude you from the game. The rules, the soft ball that’s used and the confined space help keep the action safe and less subjected to athletic prowess than other traditional games. The Gaga Pits were assembled on Saturday 3/12 by a group of parent and student volunteers who quickly had the octagons assembled. As soon as the first pit was complete, there were people in there playing and enjoying it. We hope it will be wildly popular with the Oak Ridge students. We think the Oak Ridge students will be gaga for Gaga! Waiting for recess fun at Oak Ridge!